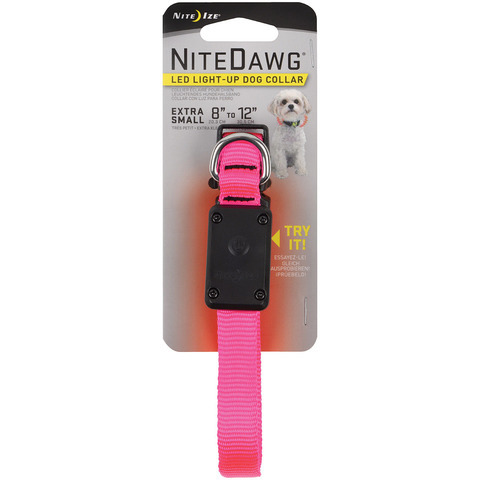 Flexible strong nylon dog collar with a bright red LED light. The flexible, light-up polymer core is surrounded by strong red or orange nylon webbing and is weather resistant and comes in two sizes to fit small to large dogs. Visible up to 1000 feet in the dark. Long life replaceable battery (included). XS: 8" - 12", SM: 10" - 13"